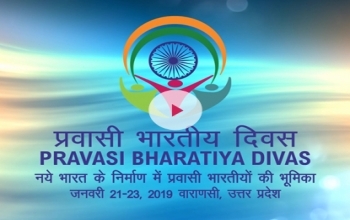 15th Pravasi Bharatiya Divas (PBD) Convention is being organized by Ministry of External Affairs of India in association with State Government of Uttar Pradesh from 21-23 January 2019 at Varanasi. The theme of 15th PBD Convention is “Role of Indian Diaspora in building a New India”. Non-Resident Indians (NRIs) and Persons of Indian Origin (PIOs), residing in Slovenia, are urged to join the Convention as delegates. This time, the participants will also have the opportunity to participate in Kumbh Mela at Prayagraj and Republic Day celebrations at New Delhi. The registration deadline has been extended till 15 December 2018. For online registration and more details, please visit www.pbdindia.gov.in.